The Desmond backpack is perfect for your next adventure, whether that be a weekend getaway, trip to the market, or commute to the office. 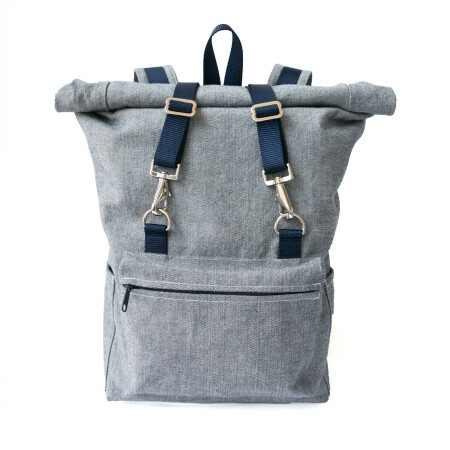 It’s big enough for all of your essentials, but small enough to use as an airplane carry-on, easily fitting in under seat storage as well as in over-head bin space. PDF pattern delivered by e-mail. 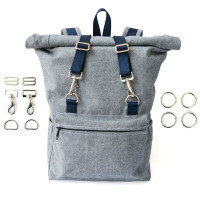 Buy the pattern together with a hardware kit and save $1! 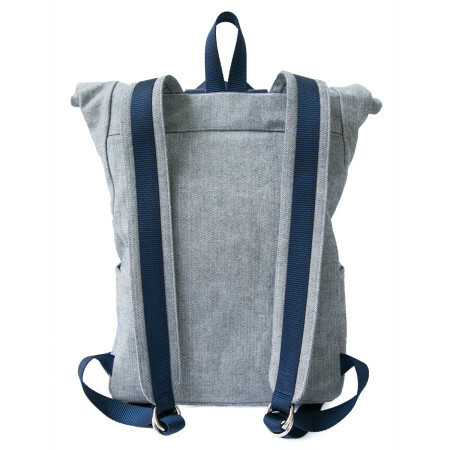 This is an unstructured pack (no frame or padding), so it’s not the kind of pack you would use for lots of heavy books, a jungle trek, or mountaineering with heavy loads. Perfect for use as an every day bag. Please note that this is a PDF pattern. It will be e-mailed to you after completing payment. A guide on how to print and assemble the pattern is here. Your download will contain as a zip file with two separate files inside, one for directions (12 pages), one for the pattern (28 pages). Both files print on US Letter or A4 size paper. 1 yard exterior fabric, 60″ wide. Medium to heavy weight woven fabric. 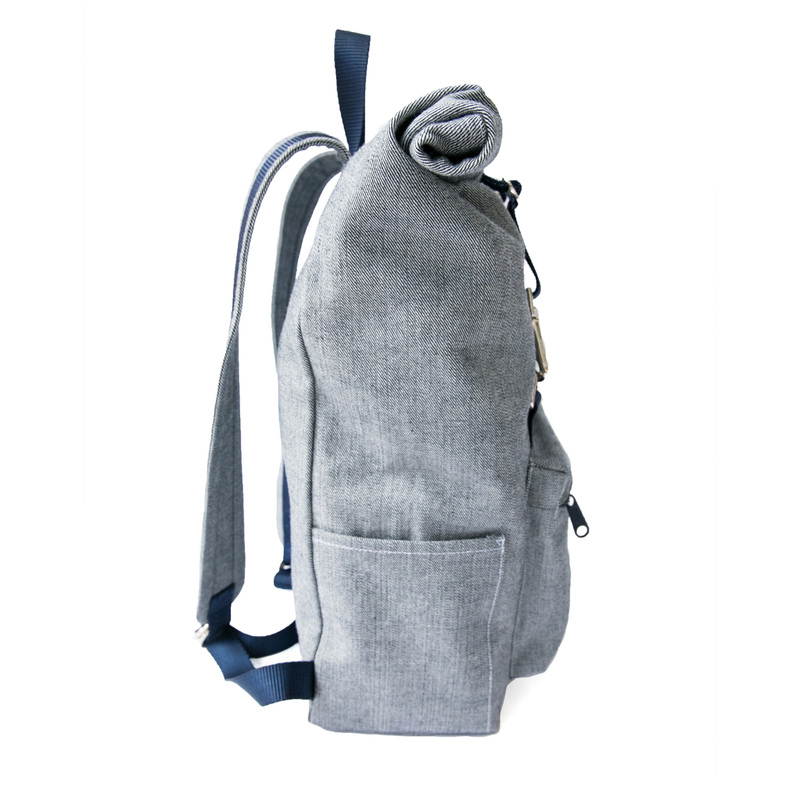 Example: 10 oz cotton canvas or bottom weight woven fabric. 1 yard lining fabric, 45″ wide. Medium weight woven fabric. Example: 7 oz – 10 oz cotton canvas, or bottom weight woven fabric. Lighter weight fabric should be interfaced with light to medium weight fusible interfacing. 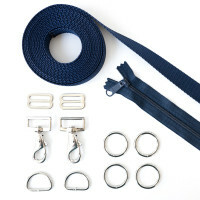 Complete hardware kits (with and without webbing/zipper) available here.